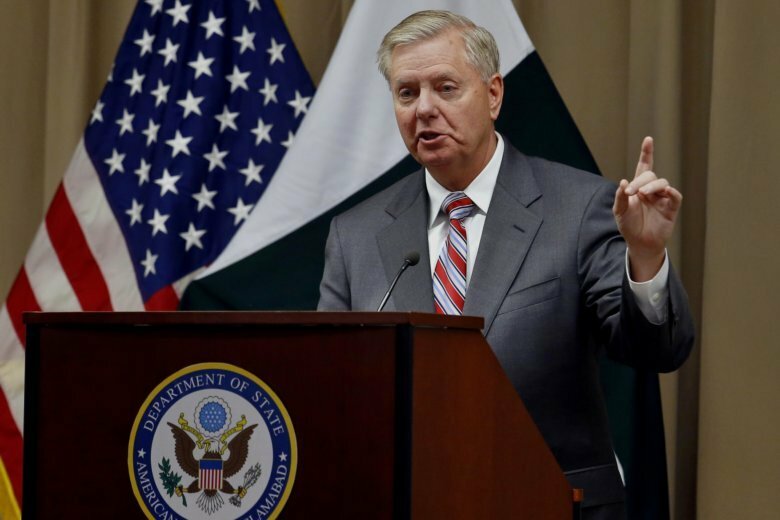 ISLAMABAD (AP) — U.S. Republican Senator Lindsey Graham said on Sunday that he will urge President Donald Trump to meet with the leaders of Pakistan and Afghanistan so that they can devise a plan to end Afghanistan’s 17-year war, the U.S.’s longest military engagement. “I think they will hit it off” if they meet as they have “similar personalities,” said Graham of the proposed meeting between Trump and Khan. Graham added that the war in Afghanistan “will end through reconciliation” but that no such talks should include the Islamic State group or al-Qaida. His comments came shortly after U.S. peace envoy Zalmay Khalilzad concluded his four-day visit to Pakistan, during which he met with Khan and the country’s powerful military chief Gen. Qamer Javed Bajwa. “During the consultations (Pakistan and the U.S.) reaffirmed their commitment to advance the Afghan peace process,” said a U.S. embassy statement. It said that during his meetings in Pakistan Khalilzad highlighted that all countries in the region will benefit from peace in Afghanistan. But the Taliban have consistently refused direct talks with Afghan President Ashraf Ghani’s representatives, calling the Kabul government U.S. puppets.